It is gorgeous today, here in B.C. The sun shines for the first time in a couple of days. Reminicient of summers heat and slower pace. on the heels of fall, as it bursts forth in a splendor of colour. Even if those colours are in all shades of grey, at times. The reds, yellows and golds of fall are so beautiful here. With today's backdrop of an endless light blue sky as the sun shines down. The landscape in B.C. it is truely something to behold during fall. I feel very blessed as I listen to my harpist, daughter lovingly pluck her harp's strings into a fleeting melody. As my younger daughter, loves on me with her kindness, doing this and that for me. As I am busy writing today. The first free time I have had to do so in a while. These are the memories that stays with a person for a lifetime. Memories, and a safe place I have tried to create for my children. Through the tumultuous storms in life, there is always the safe harbour that's home. As I recall my own childhood. A time in which I did not always feel safe. I felt it was only me against this big world, with no one on my side. I was the outsider in my own family growing up. Everyone looked to me as an oddity, 'a freak of nature', because I was the one who survived against the odds. They seemed to walk on eggshells when around me. At times I believe my safe place died along with my twin brother, Michael. As a child, I always thought, I would have felt safer and not so alone if he had not died. As I reflect back now, Michael would have died this month, 43 years ago. This is my very first realization that Michael passed away in the month of September. Two months later I would be born and Michael, delivered. Ah ha! Light bulb moment here, people! No wonder I do my darndest to hold onto summers warmth. I am usually fighting fall kicking and screaming. My body's memory remembers even if I do not. I knew it was when Michael's life ended. As I recover from this new realization, I see there IS a reason for everything. I peel back the layers of my life for re-examination on this summer-like day. I pause in the faster pace of fall's embrace. in the changed pace that weekends afford. As it lends the opportunity to recall the past. Which is a rare luxury during one of the busiest times of the year. Back to school and the many activities we resume now that the summer break is over. It gives little time for enjoying the scene put forth, or time for repose. Those activities we must jealously guard in hopes for preservation. I will guard those fleeting moments as they arise. The older I get, the quicker the days seem to fly past. Cherishing and holding onto those moments shared with my girls. Memorizing all those little things that make life so worthwhile and treasured. sun's warmth and in summers memory. As we do our best to pace ourselves in falls chill, painted splendor, and busier pace. We are beginning a project for womb twin survivor babies and children. 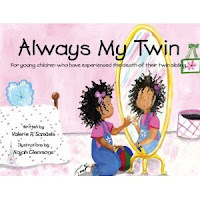 Already, Valerie Samuels has written a lovely book for young womb twin survivors. She has written about her experiences here. 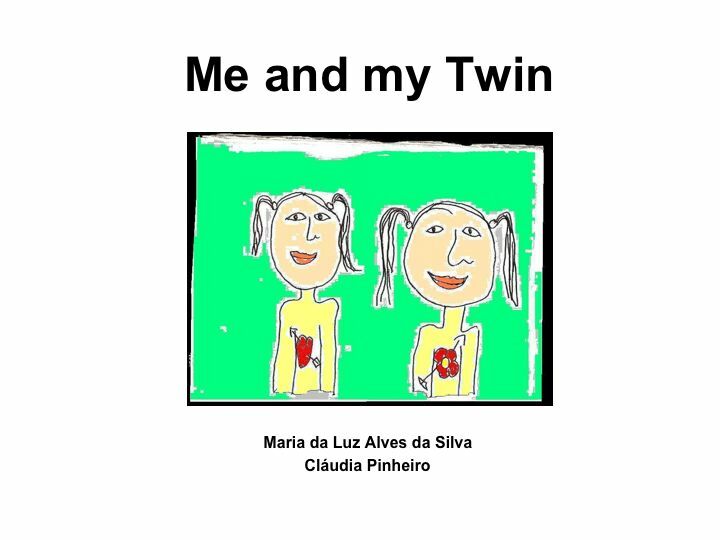 Also there is Claudia Pinheiro's boook, based on a story told to her by her own daughter about her twin, available through Wren Publications. 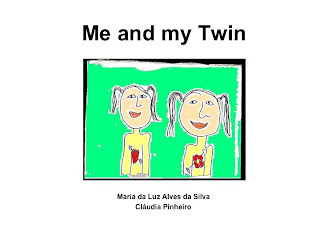 Then there is another book for children being prepared for 2011 as a "Womb Twin Book" - the first of many books we hope, specially-developed for womb twin survivors and their families. More about that later! Just wanted to remind that there is still space left for our coming wombtwincafé on Saturday, September 18th. Ik hoop jullie daar te ontmoeten! A modern perspective on womb twin survivors. 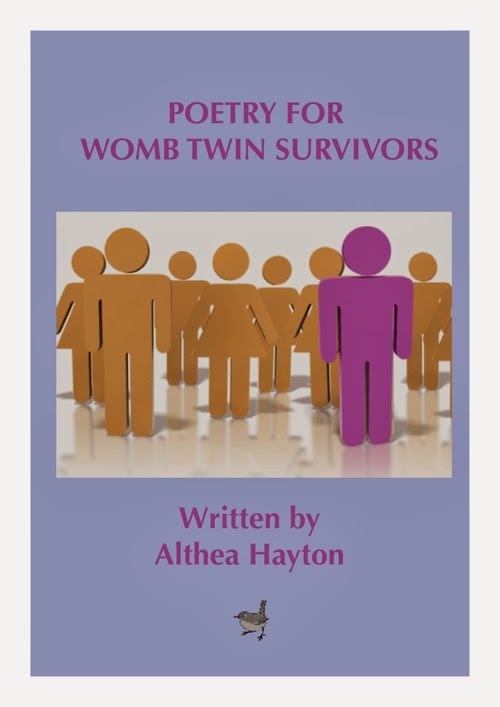 One of our members, Lynda Haddon, wrote this article about my recent book which deals with a womb twin survivor. I thought other members might benefit from what she says from an even more modern perspective than I'd ever considered. "There is a life before life that most often goes unrecorded and even unrecognized in the human journey. It is life in the womb; a space for incubation often treated as a pre-history of no special consequence to the life narrative that follows. As technology has sharpened our gaze into this ambiotic existence, human experience has been irrevocably altered. Such gains in insight can also create losses, unexpected twists and turns of ante-natal life that can carry great significance. A woman, pregnant, seeing her first ultrasound image can see the outline of two babies. Then, a follow-up appointment, a second ultrasound, and the twin has vanished. A precious child is gone, a sibling lost, and so is a unique parenting experience. The fate of the Vanishing Twin remains enigmatic. Was it an apparition, an aberration of imaging, or a legitimate loss, a being leaving no trace of its existence apart from a searing image in its mother’s and often its womb-mate’s mind? It is not uncommon for people, seemingly ignorant of this ‘loss’ to develop fantasies about “being with someone else,” or needing to live their lives for two. Is it a personal memory of womb life or an intuition of an unexpressed part of their mother’s mind? If told later in life about the loss, there are often feelings of relief at not being “crazy” but sometimes too, anger and distress at not being told all along. Sylvia Dickey Smith‘s novel. A WAR OF HER OWN makes an important contribution to womb-twin survivors by raising awareness of this phenomenon and educating others as to what can be its long-term possible emotional effects. We know that multiples (twins, triplets etc) are aware of each other in utero. Hence, when womb-mates fail to survive, a rent in the fabric of identity can be the result for the womb-twin survivor. Being with another at this formative stage of life can surely leave a lasting impression with reverberating impact. How to grieve a life that in many ways wasn’t? How to mourn a Vanishing Twin when there is no one to validate its life? Here, we have a baby of technology, an image on a photo, a welcome addition whose existence remains un-named. acknowledge. The culling of fetuses following in vitro implantation when too many take hold is a prime example. A necessary step to improve the chances of survival of the other babies, it can nonetheless complicate post-natal life for parents and for those babies who survive. A major hurdle is that a loss must be recognized before it can be grieved. Such losses, therefore, can pass under the radar of what society views as a legitimate loss. A loss unnamed, of course, is not necessarily a loss unrecognized at a deeper emotional level. Recipient of a Community Builder's Award from United Way for her work in the multiple birth community and with the Ottawa Coalition for the Prevention of Low Birth Weight. Recipient of two Awards from Multiple Births Canada for her work both nationally and internationally. However, there is so much more that can be offered, not just an annual conference. I am going to experiment - on my own initiative this time, not through WombTwin.com - with a weekend workshop, for womb twin survivors only and not more than 8 people. Can I have some feedback on how this could be carried out? Theoretically, if you were to come to a weekend workshop (Friday evening to Sunday afternoon) what kind of thing would you like to experience? I was thinking of April 2011, at the same place as this years conference. What do you all think?